Family Recovery Resource Experts (FRre) focuses on an entire family’s health around mental health and substance addiction, setting them apart from the competition which typically focuses only on the person with the issue. They tasked us with creating engaging, search engine optimized content to communicate their distinctive work in a competitive field. Content. Our solution was creating a coordinated content marketing program that included bi-monthly blogs and interview-style videos. Each quarter, we compiled the blogs into an e-book which, over the course of one year, followed a thematic editorial calendar focusing on the experiences of family members whose loved ones faced mental health or addiction issues. Besides engaging new clients directly, these e-books served as marketing collateral for FRre to provide to referrers in the field. We also created a social media strategy for Facebook and LinkedIn, channeling thought leadership from third-party websites within the industry and promoting original content on the new FRre website. Consulting. As FRre rebranded, we provided valuable insight into how best to articulate their complex and evolving mission. 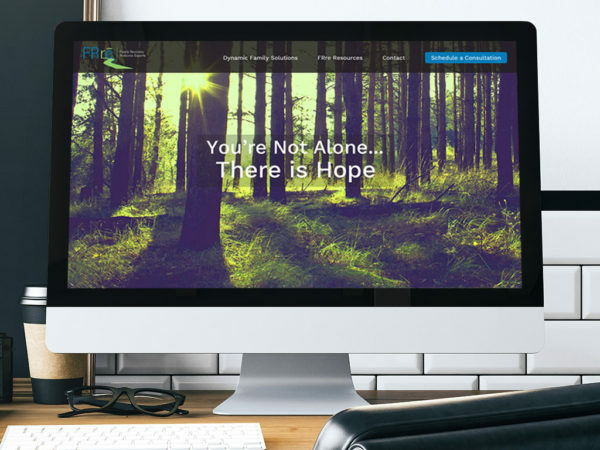 This took the form of helping craft a mission statement and working closely with FRre’s third-party web developer to ensure the organization’s redesigned website effectively and accurately portrayed its new vision. Website. We worked shoulder-to-shoulder with FRre’s web designer to provide engaging, search engine optimized content for the organization’s new website. This included journalistic-style interviews with key FRre stakeholders which we then crafted into website content and explainer videos. Video. In the field of behavioral health, it’s critical that new potential clients trust and feel comfortable with providers. That’s why each of our blog posts includes video of FRre’s therapists and behavioral health professionals talking about the subject matter in their authored blog posts. We also produced a series of interview-style explainer videos for the new website’s homepage, and wrote the script for a white board video produced by a third-party vendor. Call us today to learn how we can use video and content to engage your audience. 651.357.4174.